It is sometimes, a chance that we miss becomes the chance that the life owes to you. A year and a half back when I was backpacking Maldives, it was my heart’s secret desire to watch the Dolphins wild in the open. But it was such that even though we saw the most beautiful Sunset in the coast of Maldives and then made several rounds in the middle of the sea where my boatman said those jumping cutie Dolphins come every day but today the sea is rough, the chances are less. I still kept pondering on that little left hope I had, but no signs of Dolphins anywhere. Maldives then complimented it with great Food, Dance with the locals at local Maafushi island (which is also a Dolphin island), staying in a sandbank with no trees and be so happy about it that almost forgetting that it was the Dolphins I wanted to see, but couldn't. Muscat bought light to my suppressed desire to watch Dolphins .Aha! They were there, they were everywhere, 100's of them flipping in and out and why so, it is said that there are Salmons in the sea which they feed on and hence they come every day spinning turning tossing in search of their very own Food and Sunshine. The word "Bandar" means place where we park small boats. The Marina is located between warm blue waters of the Gulf of Oman and craggy Hajar Mountains. 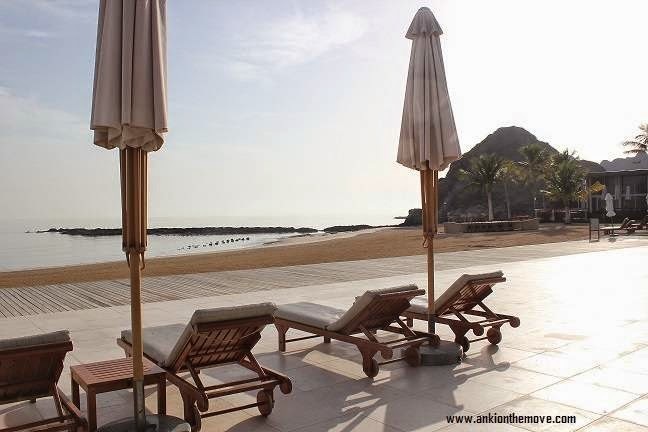 No member ship is required to use the facilities of the restaurant or the bar(in Oman you need License to drink) and the pools which are opened to all. 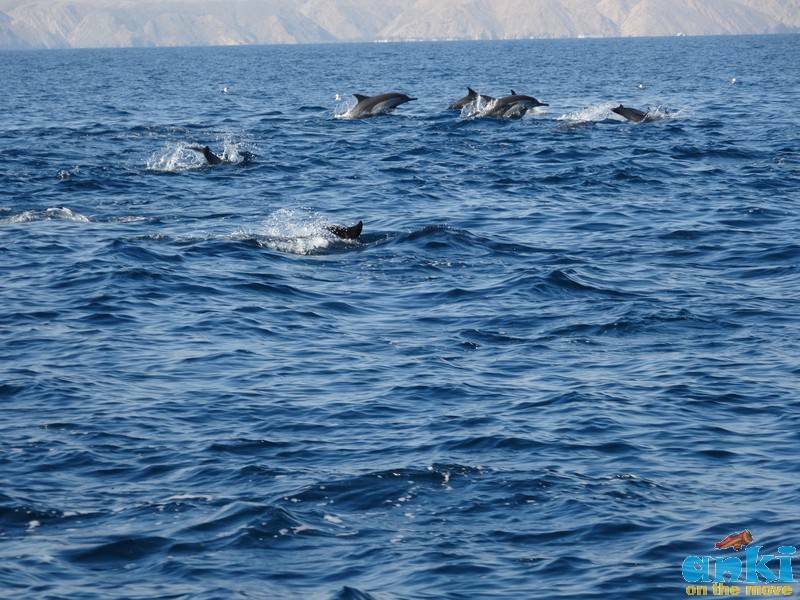 Usually spotted every day, the presence of Dolphins cannot be guaranteed in the vast Gulf of Oman. The types of Dolphins seen here are Spinner Dolphins(They spin like in Phish Concerts we saw few of them too, and it is said that if you spot a spinner Dolphin spin right in front of you, you are lucky! ),Common Dolphins and Bottlenose Dolphins.Apart from the Dolphins galore, we saw a Cat island resembling ears of a cat with the face which our guide said look look at that! Doesn't it resemble the cat and when we did turn our heads we saw us tracing our way through the gap between the limestone and voila! It felt like that Bollywood moment when the whole boat was filled up with sounds of numerous shutter clicks. 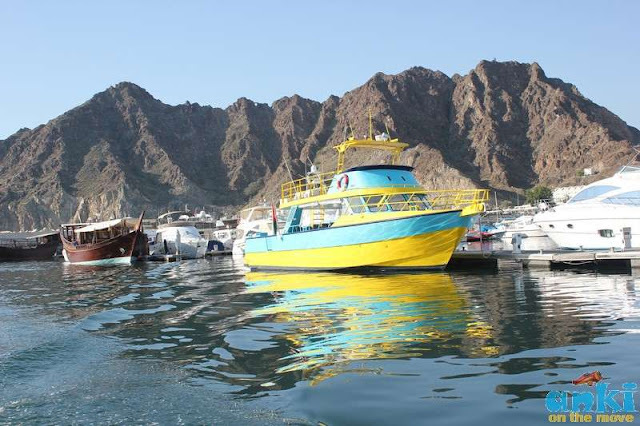 For those who want to go for an underwater tour but are not comfortable with diving, can take a tour to Oman's first semi-submersible vessels for that incredible tour of the coral reefs of Bandar Al Khayran. Semi Submersibles partly dives in water and remains partly on surface. Opera is really fun with music,acting and singing. 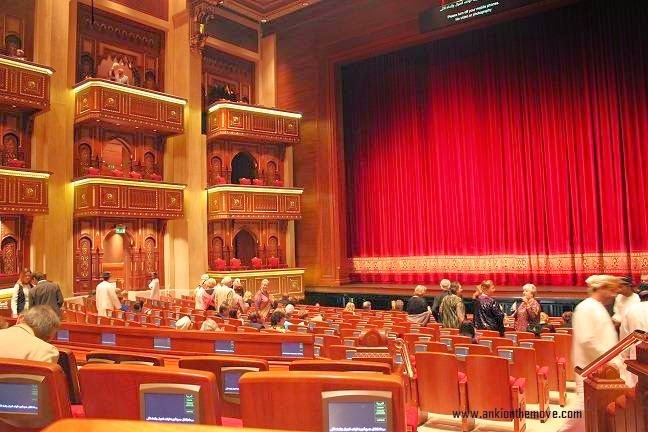 Opened in 2011,the Royal Opera House is the first structure of its kind in Arabian Peninsula where the calendar features classical music, jazz, symphony. When we were there from March 19-21, the story of Romeo and Juliet was for the first time being showcased which had Vinncenzo Bellini's opera amd co-produced by Arena Di Verona and La Fenice from Italy. The musical chores during opera were played by the crew which was one visible layer below the stage and the performances carried out on the stage with the beautiful Juliet and his beloved Romeo acting it with perfection. The Hall inside is grand and elegant - It reminded me of Europe or how I have the vision of Europe to be - Juliet clad in White Gown and Romeo dressed as a soldier. Sadly, photography was not allowed inside the hall or else I could have enlightened you with pictures, loads and loads of them. Amouage is Arabic means wave and is also the world's most valuable perfume with finely crafted fragrances such as exotic ingredients like Frankincense. Today, it has a fan following around the world including Royals, global leaders and some of the most celebrated names in film, television, fashion, sport and music. You can visit the place, watch how the lovely ladies make the perfumes and know the process and sample some testers. The perfumes smell divine. 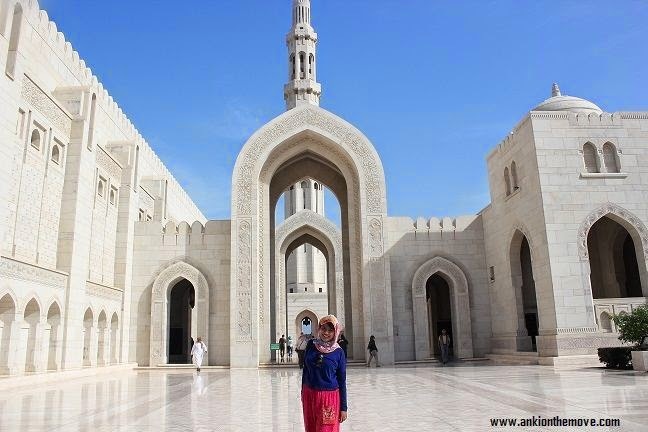 Opened in 2001,to mark the 30th anniversary of Sultan Qaboos ascension to the Throne, the Mosque can accommodate 20,000 worshippers. Built from 300,000 tonnes of white sandstone from India (they came as solid blocks and are cut and machine carved),Grand Mosque is open from Monday - Thursday from 9:00 am - 11:00 am. There are separate Praying rooms in the Mosque for ladies and men as in the olden days the women and men came to the mosque and the section was divided with a fabric so they can't see each other. Since the ladies can still pray at home and men are supposed to be at the mosque there are 600 ladies who can come here. In the ladies prayer room,the carvings here on the door are Burmese and the carpet is from Scotland. Step ahead to the main Mosque and you would get to witness the second largest single weave carpet in the world made by 600 weavers, Swarovski Chandelier consisting of 1200 lamps weighing 8 tonnes, windows from France, Tiles and mosaic from Turkey and Marble from Italy. Very structurally arranged were 3 black Quran books and small chapters in smaller textbooks. The 5 Minarets means the 5 Islamic pillars and 5 praying times in Islam. As opulent it sounds, as opulent it is. 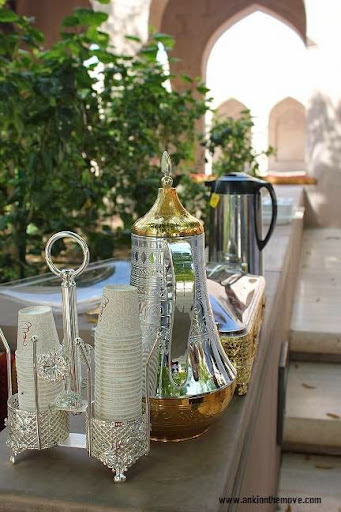 To know more the fundamentals of Islam ,Nasa from the Islamic Center, Mosque quoted " It is a place where you get general information on anyone who just want to understand what are the fundamentals of Islam" of course over a cup of Omani Coffee and yet again Dates! 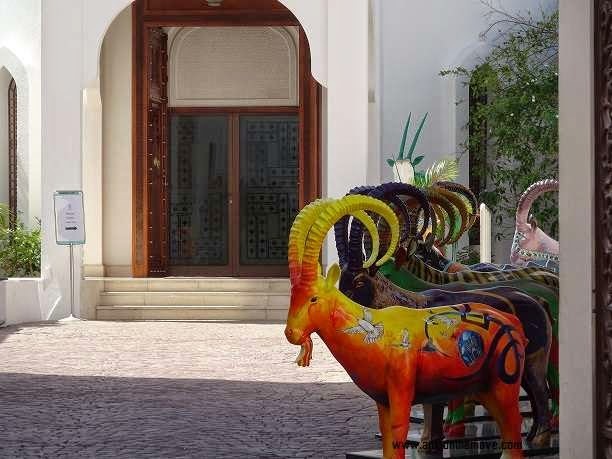 Painted in bold and Solid colors at the front of Bait Al Zubair Museum was the exhibits of the Arabian Oryx held in Muscat. Arabian Oryx is the national animal of Oman. 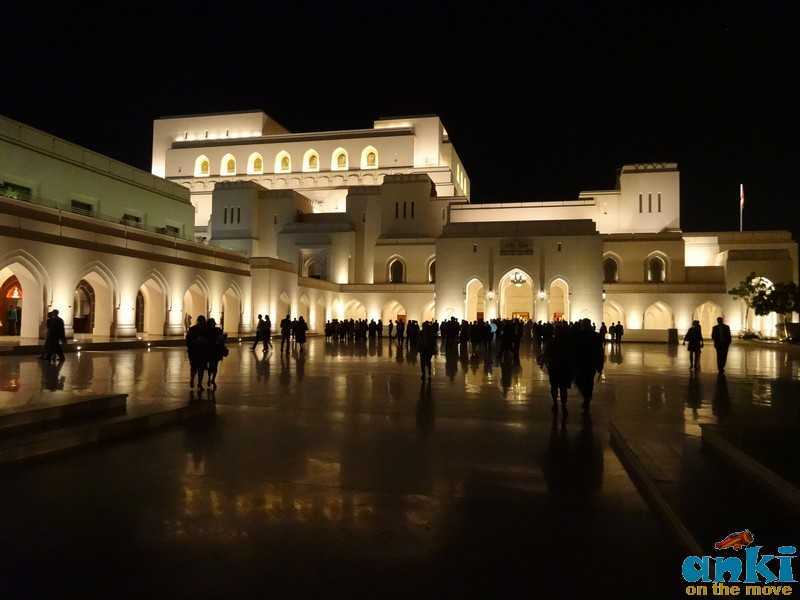 Bait Al Zubair is a private museum showcasing history and culture of Oman and was opened to public in 1998 by its founder of Zubair family who were private advisor of Sultan Qaboos. Interesting things to note are the Omani rituals for marriage which are similar to ours (Engagement - Khotba,Dowry - Mahr Jalw Day,Al Ghaffan - Henna and Milka-Marriage contract),the colorful dresses and the traditional Omani Jewelry and various stories on how caps(Kumma) came into Oman after Turbans(Musaar) and the significance of Tassel around Dishdashas(white long dress for men) and Salwar and Kaftan for Women.To buy authentic Omani handicrafts,do make a visit to Oman Heritage Gallery. Situated on the juncture of roads from Muscat - Nizwa,Muscat - Sur stands the Awakening Tower(or the wake up tower),the tower which symbolizes the development of the country. The tower which was built in 1985 after 15 years of development and the pictures show the before and after. It is also to make people time and again virtually remind of their responsibilities as a citizen. 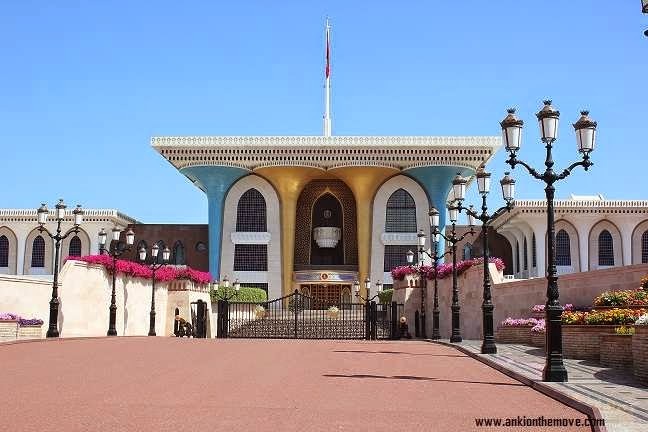 Built by Sultan Qaboos for official purpose, it is a place of stunning architecture where gold shines through with hues of blue and white .It also has a guesthouse for special dignitaries like the president of Iran or Queen of England or Netherlands. 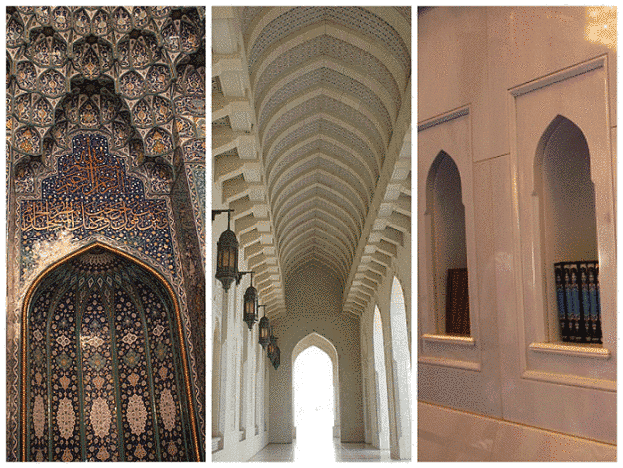 You can visit the place anytime, but inside the palace,entry is forbidden for visitors. 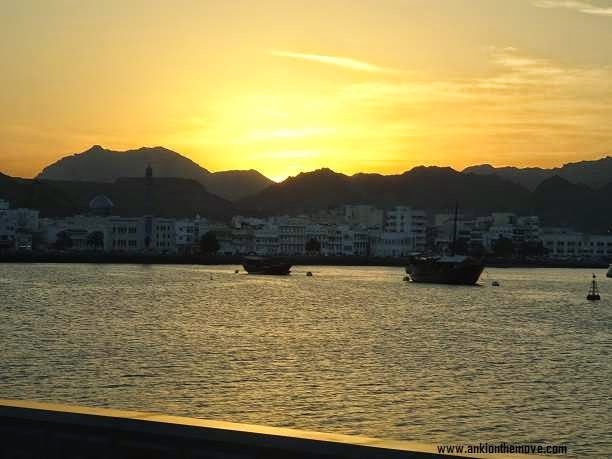 Al Qurum Public Beach is very Popular among Omanis.The Muttrah Corniche starts near old Muscat Gate. Until 1970's these gates were closed at Sunset with the Gate dividing the old Muscat from New. 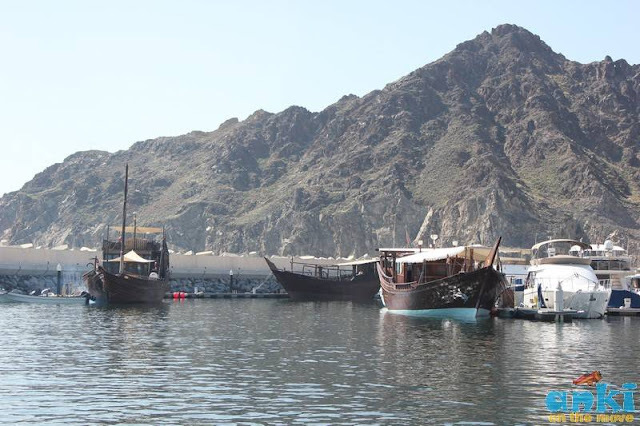 Looking to the left to the harbor, you will see dhow boats and a huge statue of Frankincense Burner ahead. 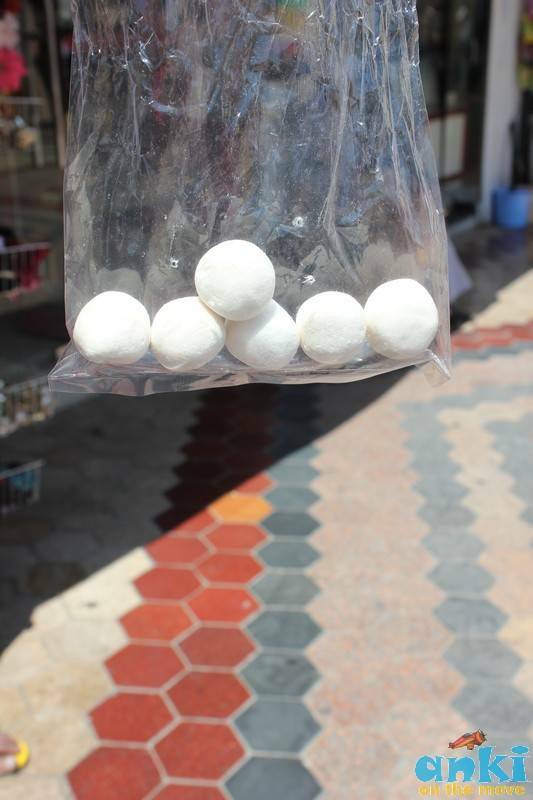 Omanis live by Fwala - Omani Coffee and Dates! For non-vegetarians, there are plenty of options as it is for vegetarians. When in Oman, indulge in traditional Omani Shuwa - An Omani Dish where a lamb is marinated and wrapped in banana leaves and they cook the lamp in an underground oven in the flame of charcoal for more than 12 hours. This is served with Omani rice and rice dish. 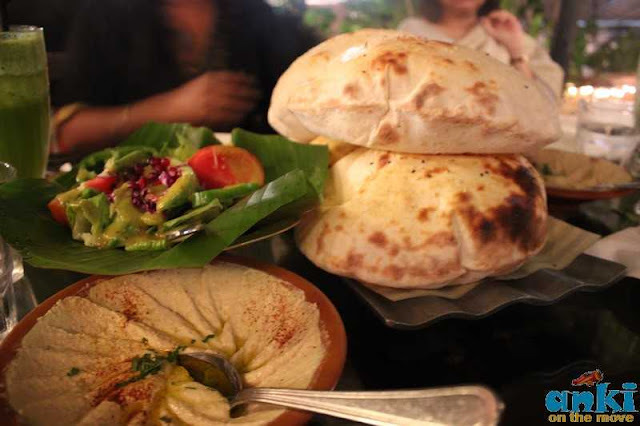 Kargeen Cafe in Oman serves the traditional Oman food like Fresh lemon and mint,Hummus/Moutabel,Kargeen Special bread made of Cheese Olive Tomato,Falafel Plate,Yemeni Akda and Traditional Omani Shuwa. 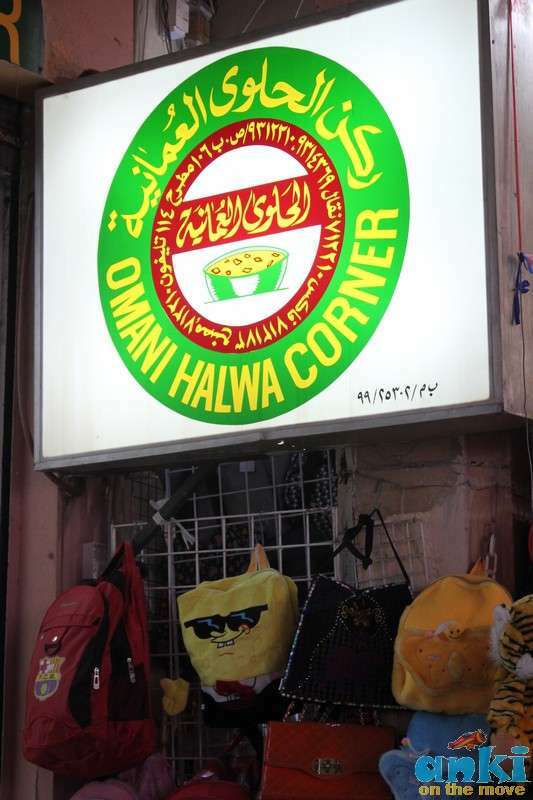 When in Oman, do not forget to try the Hamour Fish. Some of the other best restaurants in the city are Turkish House(Turkish Dishes at Reasonable prices),Ubhar(Omani Restaurant),Al Mandoos(By renowned Chef Issa),Mumtaz Mahal(Indian Restaurant),Left Bank(Tapas),Kurkum(Indian and Arabic Fusion).Saravana Bhavan opposite the budgeted Ruby Hotel is an excellent choice as Indian Veg Restaurant. Check the top 25 interesting facts to know about Taxis in Oman. Big Bus Tours is an hop on hop off bus tour which takes through 10 stops of interest and has free headphones on board. 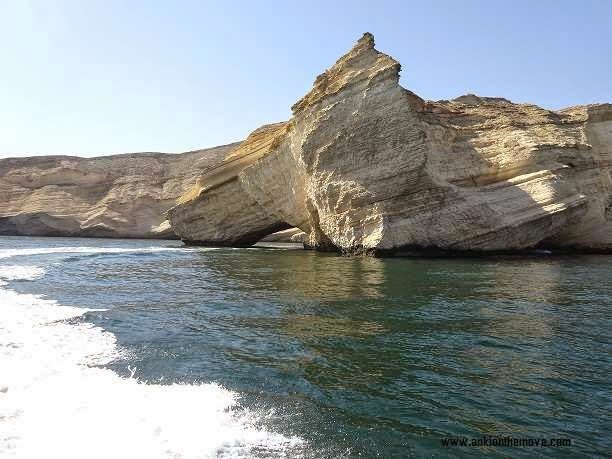 The cost for such bus tours for whole day would be OMR 20.Alternatively you can also book your package through Zahara Tours who were very reliable.Oman Air operates Domestic flight from Muscat to Salalah and Khasab.The Oman National Transport Company operates comfortable coaches to Muscat,Salalah,Sohar and Sur. • No tight clothing, no swimwear and no beachwear. • For respect to worshipers, visitors should always stay with the guide. Oman is a Muslim country and it is important that, as guests of the country, everyone should respect the local customs. It is recommended that women not wear strappy sundresses, miniskirts, shorts or low necked dresses in public places (e.g. 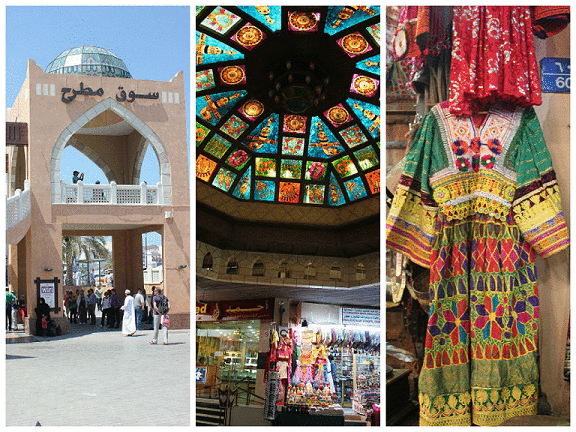 offices, souks, town and shopping areas). The most suitable wear in public is shoulders covered and below knee length skirts with a top that is appropriately long (below the hip) is also acceptable. Men should wear shirts and long trousers. Shorts or beachwear should not be worn except at the beach or pool area. Set on a private beach with acres of lush gardens, and 3 or more swimming pools, this just took my breath away. It is a place where opulence is seamlessly blended with Royalty, you truly feel you are part of a place where you can indulge in a swim of the infinity pool viewing the sea or have your gourmet breakfast and lunch or admire the high domed atrium lobby. 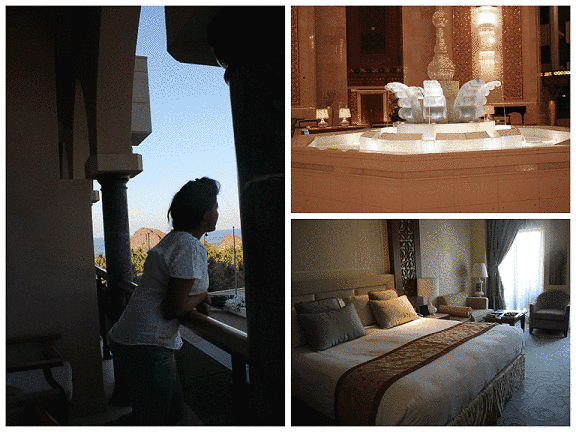 Your pictures make me want to visit Muscat. :) Looks like a charming place. Interesting and detailed post. If you love watching dolphins go to Dapoli in Maharashtra, there are hundreds out there. Beautiful shots of place and there is lot of variety. Just a note thought, the carpet in the Grand Mosque is definitely not from Scotland! 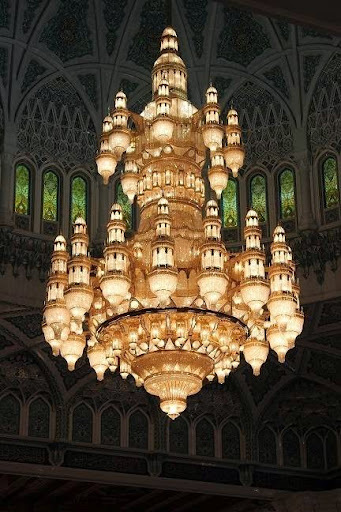 It was woven in Iran and brought in large portions that were knotted together inside the mosque! Also I am pretty sure the door carvings are not Burmese. @Chaitali:Hey Chaitali,Thank you so much,never knew we could see dolphins in India mainland,next time for sure,I am heading to Maharashtra,love the dolphins yeah! Beautiful post Anki, all of these destinations are beautiful. I have got some really great ideas from your blog for my trip. Your blog is really interesting and informative with amazing pictures. Thank you for sharing your experiences.